You are so close to your goal! Do you feel hungry? Remember: You will feel better if you drink green tea, wait an hour, and eat a big plate of veggies. Today is another vegetable day, but you can also have a small bowl of boiled rice. 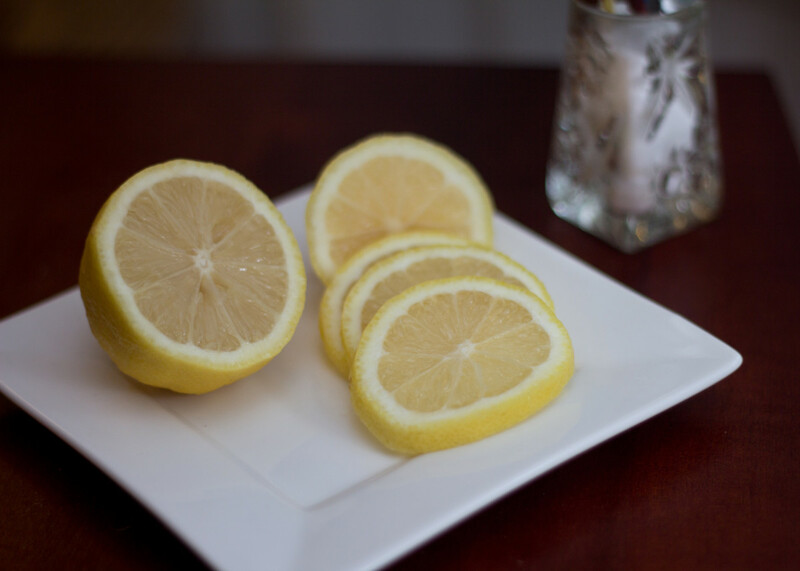 Avoid oil, butter, or cheese but do feel free to use some lemon juice, salt, and pepper for flavour. The soup and salad recipes from days two and four are perfect for today, but make them fresh for today. No leftovers! Salad or soup (one bowl). 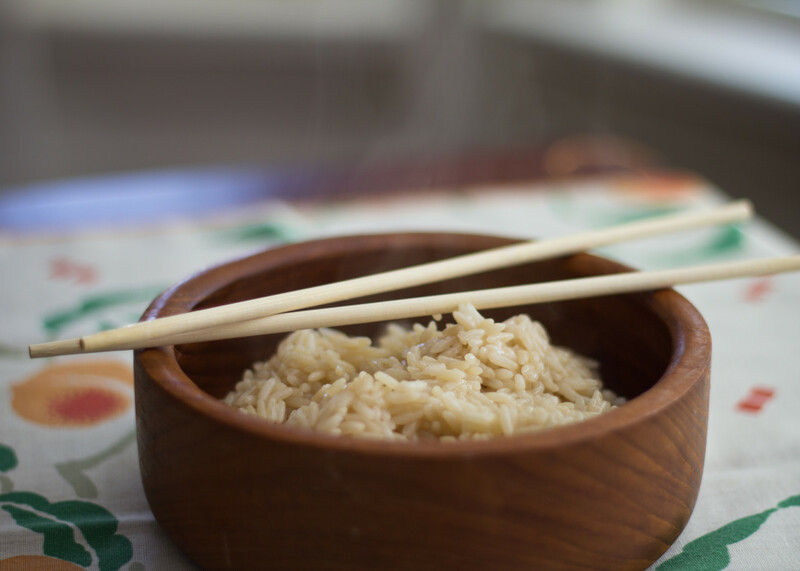 Brown rice is more nutritious and filling than white rice. Vegetables are more nourishing and filling when eaten raw. It also burns more calories to chew and digest them from raw. Drink three cups of green tea a day to help burn up to 80 calories. 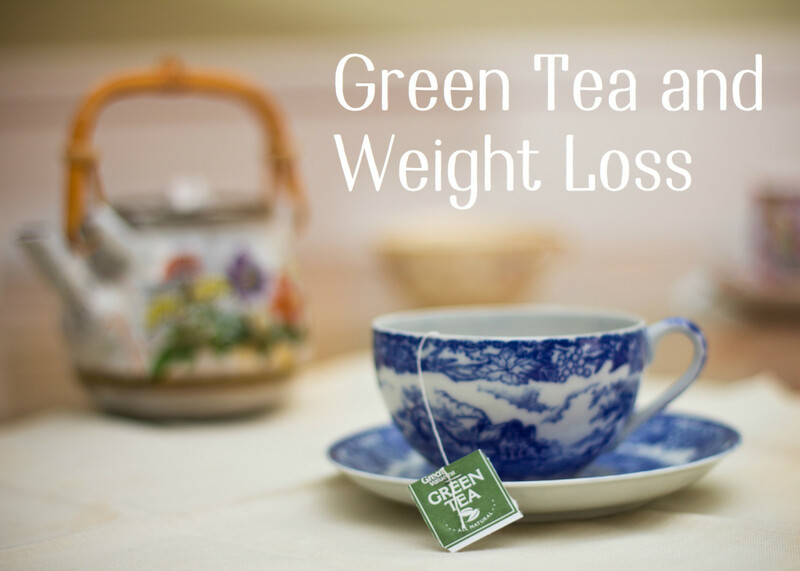 Green Tea is one of the healthiest weight-loss drinks. Three cups of green tea a day can help you burn 80 calories. Imagine burning calories while enjoying tasty and fabulous green tea! Look for an organic variety. If the taste is too bitter for you, try sweetening with honey. 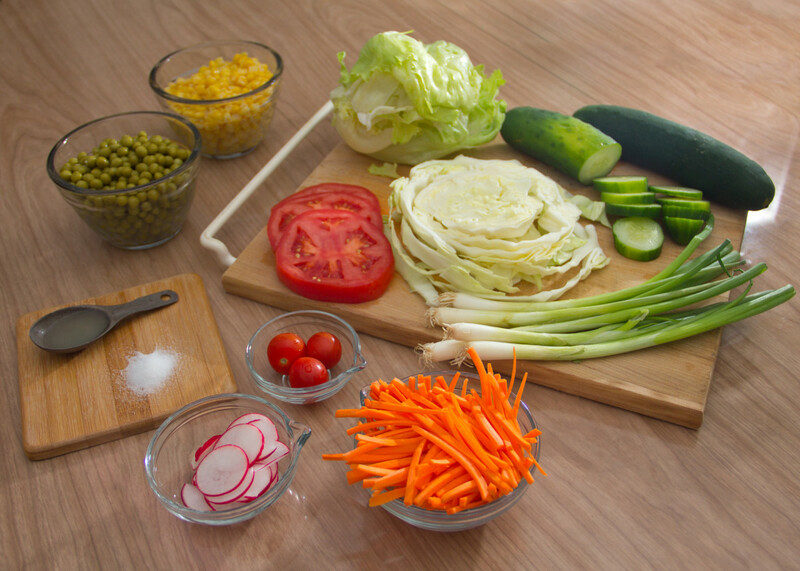 A little lemon juice and salt does wonders to the flavour of fresh, raw veggies. Remember, exercise gives you an extra edge when trying to lose weight. Without exercise, you may lose up to 12 pounds on this diet. 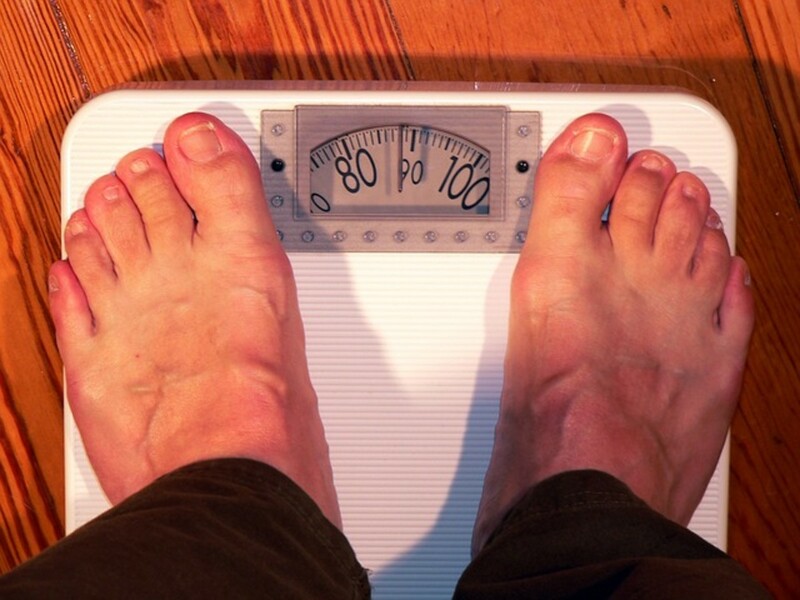 With exercise, you may lose even more. Continue taking a brisk walk for 30 minutes walk every day, but increase the time if you can. Sometimes we are so fixated on our tummies and overall weight that we forget about our arms. If you are losing weight, you may have noticed it in your shoulders and arms. Watch the video below for some exercises to help tone those newly-thinned arms and shoulders! You made it! Continue to eat as you did on day six: rice with vegetables, soup, and salad. Includes strategies for keeping weight off and maintaining a healthy food routine. I felt highly lethargic on the diet, so I had dark chocolate on the sixth day. Do I have to restart? Is dark chocoate allowed? Also, I noticed this diet has no protein. Is this going to be a problem to my long term health? Will this stunt my growth? Also, can I switch rice for any other carbohydrate? Thank you if anyone answers, but I don't think anyone will. Although I only lost 6 lbs I feel great after this 7 day plan- clearer mind, more energetic and fresher skin. Well worth it! Hello. I don't normally write comments or any results on anything, but here it goes. 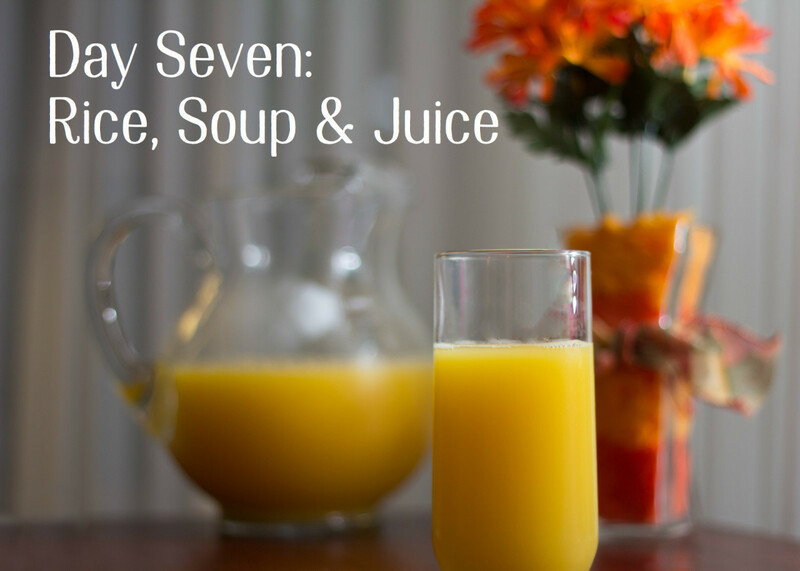 I tried this diet severe times before, but I would always give up on the 5th or 6th day. However, I was determined not to do so this time. So, I'm currently on the 5th day and I started it with 3 tomatoes seasoned with salt, pepper, and lemon. So far so good! I lost 3 kilos!!! I was aiming to lose 7 kilos, but who knows maybe by the end of the week I will have lost more. Anyway, I'm staying strong and positive. Yesterday, I said no to sweets (Konafa) and Pasta (MY FAVORITE!!) I'm not really overweight considering by height and age (Just by 4-5 kilos) , but I just needed to get in shape, as I started binge eating. I strictly followed the diet; however, I would have a cup of hazelnut coffee with full fat milk every day or two (NO SUGAR) and I would enjoy my black & green cup of tea whenever I wanted. On day 4, I substituted milk with 3 light Activia yogurts, as I can't tolerate drinking milk alone or blended with bananas. However, I didn't have the diet soup on any day and I didn't exercise (Maybe if I did, I would've lost more weight) Anyway, my point is for those of you wondering if this diet works, it does, as long as you control your portions and eat only when you're hungry and don't forget DRINK A LOT of WATER!! You'll feel fresher and healthier, believe me ( I feel like my face is glowing hahaha) So, good luck and I'll keep you updated with my results. Smaller portions on day 6 are you allowed snacks in between meals? I'm on morning of day 6. Enjoying the food options. Wondering though, although generally speaking I am feeling a difference (lighter, clearer- if that makes sense) my stomach has become pop belly. Could this be because I'm only managing about 6-8 glasses of water a Day? Any solutions? Good day, I am at 160 and I need to lose 30 lbs. I have a few questions. Can I use unsweetened almond milk? For breakfast, can I eat boiled eggs at least two? I have to say---I'm interested to see what my results will look like. I'm only on day two and just have felt fatigue more than normal. One comment I guess I want to make thats not really something I see here (and I could be completely doing this wrong) is the use of herbs. They are fresh, raw, and add quick flavor to veggies. When I was looking at day five with the 6 tomatatoes---the first thing that came to mind was making a fresh salsa and eating it with jicama chips. My breakfast this morning was the boiled potato (I HATE potatoes) topped with riced cauliflower, cilantro, and a little salt/pepper. It has made eating fun to find ways to add flavor to food. now, I might be in the wrong for suggesting herb usage--but I do know they are used majorly in the health world as cleansing/detox tools. I haven't been something yet, but this could be the perfect addition to flavor up to soup! Would love your feedback if I am doing this wrong. Like I said, I am only on day two, but thought it was worth a share. The Raw food approach is one that has been consistently proven to work. Fingers crossed. Can you eat potatoes on day 6? after the 7 day diet plan? do u have any recomendations of kcal we can consume in a day. like eat only less than 1,500 kcal before starting the 7 day diet plan. I've used this diet before and lost 10#. Im in day 6 of doing it again and have lost some weight but of course don't know how much yet. I can tell you I've had more positive results than just losing unwanted lbs. It's actually changed my palette and I crave higher energy foods again. I was vegan for 8 years then due to financial reasons as well as nutritional I went back to eating meat. After doing this diet, my body started to ask for less meat and more plant based foods. I will be continuing to eat meat but im working towards only high quality local. Thanks you, I'll be using this to reset my body a couple times a year. 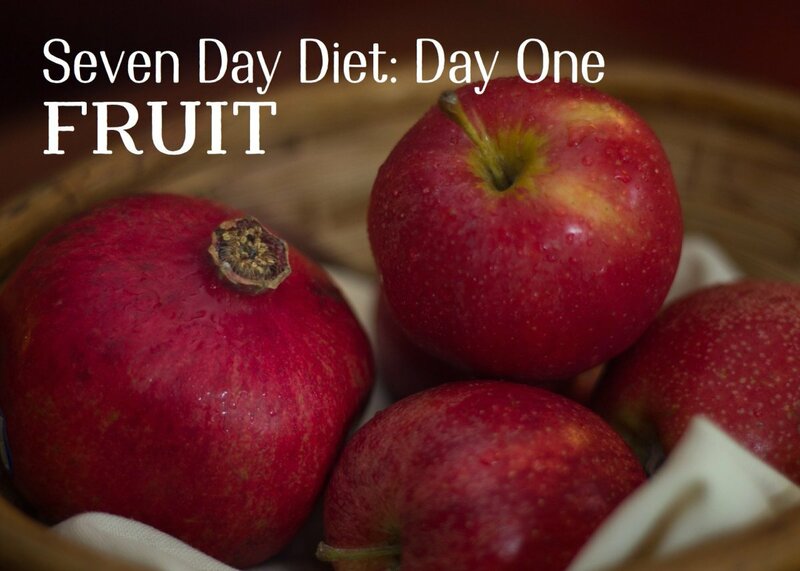 Can you eat fruits in day 6? This is a very poorly communicated diet. You really have to delve into google to find out what you can eat, or you will starve. 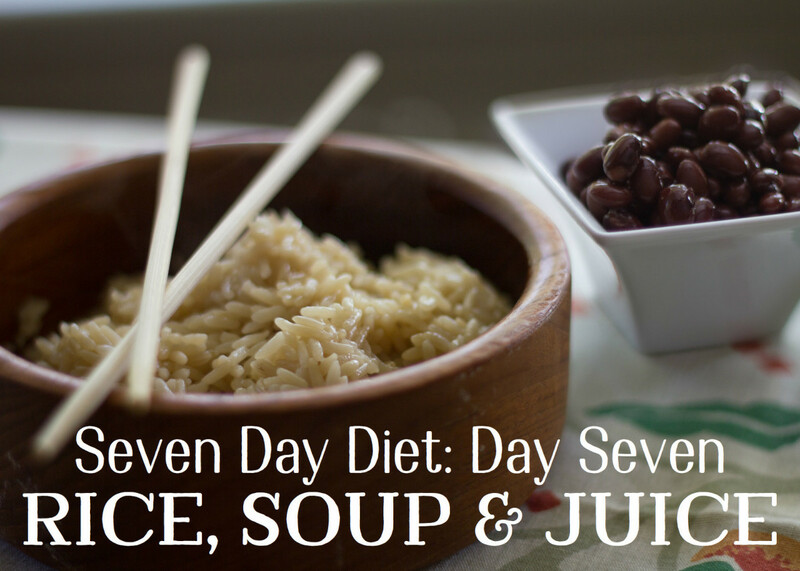 I'm on the 6th day, and wish I New I could have had more than soup and rice. I also feel very unhealthy without protein. I will finish this diet, but it's just a crash course! started the diet at 177 lbs and after 5 days I am at 168.4!!!!! @houry yes click on my name view my profile there are many articles on this subject. I am on day five today and I have lost only 2.5 Pounds and nothing more, I am overweight only by 10 Pounds and I hate exercising , i don't think i will get to 10 Pounds results as stated by day Seven. What Shall I do after this Seven Days plan expires..?? do you have other diet plans to follow..? Day 5 and down 6 pounds, I feel good have found this very easy to follow! I accidentally ate the left over fruit salad for lunch from day 3 instead of the veggie salad. Is this going to have any negative effects on my overall outcome? @neekie both are good but brown rice have more nutrients. @Kal only if you have the real good quality soy sauce, or you could use cooked Soybeans with vinegar. Can I use soy sauce with rice? For comment readers: It is day 6. I do not enjoy the soup whatsoever (I love me some flavors and don't do bland well). There was no way it was happening for breakfast so I ate a potato like I did on day 2. Went to the gym and made it through weights just fine but had some major issues with running. I found it exhausting and got a little wobbly. (I have been going to the gym 5-6 days a week for the past 5.5 years so it is not due to trying something new during this diet). I ALMOST gave in to the protein bar in my purse that was SCREAMING my name, but my pride and bullheadedness would not allow it. Instead, I ended up eating 3/4 of a bag of snow peas. Ha! "Cheated" while I was making lunch for my son with a slice of orange, a couple slices of kiwi and a few grapes. Oh well. The soup was not happening again so I ate a brussel sprout/raddish salad with vinegar and smoked sea salt. I am still VERY hungry but eating anymore vegetables would make me gag. I just want a giant strawberry smoothie with avocado!!!!! I. Need. Fat. Soooooo, my take away is, this is not great for someone who is already healthy and fit. My idea that this would be a good cleanse is not panning out either for now I am constipated due to the low calorie consumption and lack of fat (I need both for regularity). But again, with only one day to go, I will proceed. @Lakmi Yes you should try this. Use fresh ingredients avoid canned foods. Small multiple meals, eat as much as you can from same day menu. Avoid refined sugar and high carb meals after this diet. I have used this twice over the past year. It works ... Down almost 10 in 5 days by really drinking water and concentrating on sleep ... I think of this as an excellent reset as one learns to appreciate food again, and doing as we all should -- eating our fruits and vegetables. This diet is very effective. Certainly the best and easiest I have ever tried. the first time I did this I lost 9.2 lbs and I ate more fruit and vegetables then allowed. This time I am on day 5 and I have lost 6.4 lbs with two days to go and I supplemented 30 grams of protein powder every day. Plus I am still eating more soup,salad,fruit and vegetables then allowed. @Adeel I recommend this diet for 2 weeks and then you must take a break, From 3rd week start a balance diet and add strength exercise to your routine. Join a gym or fitness center and do workout on alternate days. For example do strength training on Monday take Tuesday off and go back again on Wednesday. Diet alone may not be sufficient and starving yourself would only do worse than good. Insulin resistant and underactive thyroid. Im on metphormin 2000 mg daily and thyroxin. I weigh almost 200 pounds. If I continue this for 8-9 weeks, do you think I could get to 110-120 lb range? Hi i was just wondering if I could add multivitamins or biotin or B-complex on this diet? @ps343family don't forget to share . I mistakingly forgot 3 of the tomatoes yesterday! Oops! Everything else I've been following closely. The first few days were hard with cravings and headaches, but the last couple I've been feeling great! It's been a long time since I've felt great! So thank you so much for sharing this detox. I feel it's already helped me tremendously in just 5 days. Tonight I have a dinner party I hadn't accounted for when I started this, and I am reluctant to go. If I go and keep portions small, and hit the gym beforehand, then finish up with day 7 tomorrow, do you think that will be alright? I have weighed and have already lost 7 lbs. I'm really happy with my results so far. I was really hoping to get to a 10 lb. loss, but the way I feel is the best reward, honestly. Is this more designed for people who are more in shape or the ones who are severely out of shape? I need to lose 30lbs. Would love to try this for 3-4 weeks. I just wasnt aware if this would work for my type of body. Also, i hate tomatoes. Is there ANYTHING else we can eat? I am 5"4, I weigh 184Ibs. I started this diet on 7/14/2015, I lost 4Ibs on day one. I lost 3Ibs on day 2, but from day 3 when I started taking vegetables, I seemed to have gained the 3Ibs I lost on day 2 On day 4, the banana and milk made me so full that I could take 2 glasses of milk instead of 3, and 7 bananas instead of 8. I steep 3 bags of green tea in 10 glasses of water and drink it daily. I also drink a cup of green tea with lemon and honey every morning. Although I have not lost much weight as I anticipated, I feel very good, I have so much energy now from day 4. My bloated stomach has deflated, and I can now see my toes when I look down. My blood sugar is perfect, and because I feel thirsty most of the time, I drink my green tea water religiously. I intend to do this for 2 more weeks and rest one the third week. I now weigh 180Ibs. Will keep y'all updated. @Bilaras - Could you please tell me if it's okay to use xylitol as a sweetener? May I sub 2 large grapefruits instead of 4 oranges since oranges are high in sugar? @sara brown rice are healthier. Can i take yougurd instead of milk with banana in 4th day. Thank you for this plan!! I know this might sound like a minor thing ... but I am trying to follow your plan to a "T". I am very addicted to coffee and my work doesn't really help the tea addiction either. I do try to substitute coffee for Rooibos tea but not successful all the time. I however like almond milk a lot. I do have no calorie sweeteners like stevia and the no sugar Torani. Can almond milk and the above sweeteners be a go? If not I understand and will do my best to keep away. Thank you. Can I skip day 4 all together. I can eat bananas and I don't like cantaloupe as a replacement. Also, can I use balsamic vinegar on salad and tomatoes? Can I cook my rice in low sodium chicken broth? @laima yes. Add it to salad or eat separate. Can i eat boiled coliflour on this day? Feeling really good - this is day 4. Lost 5 already. Question is can we combine milk and bananas as a shake? @Pinkish change in diet and multivitamin sometimes cause indigestion, it is safer to stay with a diet change for a start. A wide mix of fruits and vegetables can easily supplement vitamin pill. your pic does not seem reliable Haris..
What is something I can eat for breakfast on day six? IV been sticking to this diet to the tee!! I have lost about 5-6 lbs and I'm really happy!! @need help first of all stress is not good for health. Depression and anxiety make you eat more and gain weight. So first thing you need to do is get busy, do something you love, Make friends, meet people, travel to your favourite place. They all help. This diet plan is quick and easy to follow, do this one for two weeks then move to my 30-day diet. Workout routine helps with managing stress. Any change in lifestyle comes with a challenge. Just dedicate two months to your health, eat healthily and don't over eat. Once your body adjusts to new healthy diet routine you'll easily lose weight. Hi i am 4ft 11, i am 170, stress lack of sleep has caused me to out on the weight in the oast year 1/2. I have never weighrd over 125, im desperate to get tbis weight off, my stomach is a major problem area, my legs and arms are not looking so hot, i had a brekfast bowl this morning, shoyld i start diet plan tomorrow or can i start now, i want to loose at leats 50 pounds, i have never had to diet before, i do nit know what to eat and what not to eat, how or what exocises will help, can someone help me out, i want a diet than i can stay in till i reach my goal. Hi. I want to reduce my weight as well as want to reduce my stomach fat so can i do stomach reducing exercises for half an hour, 3 times each day of all 7 days diet plan ? (exercises like cross crunches ,heal touches, leg arise and crunches) suggest me . . .
@SinduG quinoa works but rice works better. Go for quinoa if you really hate rice. Hey hi I have a quick question here in the diet of day 5 &6 I can see like there is bowl of steamed rice. What If I substitute rice with a bowl of Quinoa? Will it work?? I'm lost here. With how many salads or soup a day. and how many rice bowls? is it just one of each the whole day? so for day 5, I'm really confused on how to read the menu, do I pick one from each column or do I eat everything that's on there ?? @Diane Stopford no e-cig is not good but still its better than cig so try to cut it down but no need of quitting all at once . Is the ecig ok too ? @Diane Stopford yes you can add piri piri to rice . lost half a stone on this diet on day 6 now.. feeling full today tho.. I am smoking ecig too is this ok to carry on.. and what can I add to rice its hard on its own can I add a little piri piri sauce ? Im on day 2 and on day 6 im going to a birthday party and i cant do day 6 is that ok ? Should i do day 6 the day after ir should i just skip it?? My boyfriend has been doing this diet and got really great results. I'm very impressed. He lost 9 lbs by day 5, we are excited to see how much it would be in total at the end of the plan. This is the morning of my sixth day and I already lost 10 pounds! I feel absolutely amazing! I was so sceptical about this diet but once I started seeing the results I didn't want to stop. I love this diet because it fills me up and I don't feel restricted. I have 40 more pounds to go until I reach my goal weight! Good luck to everyone who's doing this I can imagine all your results will be stunning! Would it be okay if I had wheat crackers with my soup? Hey, I will be starting the diet soon. I am 5 feet and 144 lbs. If I follow the diet to the best of my ability, will it be possible to lose 24 lbs in 9 weeks(by October 1st)?Is there anything else I should incorporate as my body gets used to the diet in the later weeks? can you eat avacodo on veg days? also can you use fresh chiles on salads/veg? All done. Final day lost one more pound, so all in all 8 pounds in 7 days. Not bad since I tweaked the plan. 134 lbs at weigh in today. just read previous comments in the thread. It is tedious when people are asking the same questions over and over. Anyway. I am now on day 7. Lost another pound and a half from yesterday, despite incorporating protein over the last two days. Just about to start this last day and will report back tomorrow. So far 7 pounds shed. Hi can I have avocado or nuts ? I am on Day 6 and just about to start this day. I had no problems following the diet so far. In fact it has been easy. I am not used to drinking such large quantities of water, but must say it really takes away hunger. I wake up in the morning feeling full. So far, starting at 141, I am now 135.4. - 5 lbs. I weigh in at the same time everyday, after I get up in the morning. I did go to the gym yesterday where I noticed a loss in strength. Not much but still noticeable, so added some egg whites in the evening. (I know, a faux pas, but I would rather do that than eat the rice). It is possible that this may have an effect on further weight reduction, but I really do not want to lose lean muscle mass, so will continue the next two days with egg whites added instead of rice. Will report once finished at day 7. I am 5.7, and my goal is 128, so will continue this plan for another week. Not even a tbsp of olive oil? is it unlimited vegetables on this day? I lost 20 pounds doing this!!! !